Many teachers are required to take a lunch count in the morning. This can be a headache. Here’s an idea that will help save you time and energy. Assign each student a clothes pin (put their name or student number on both sides). 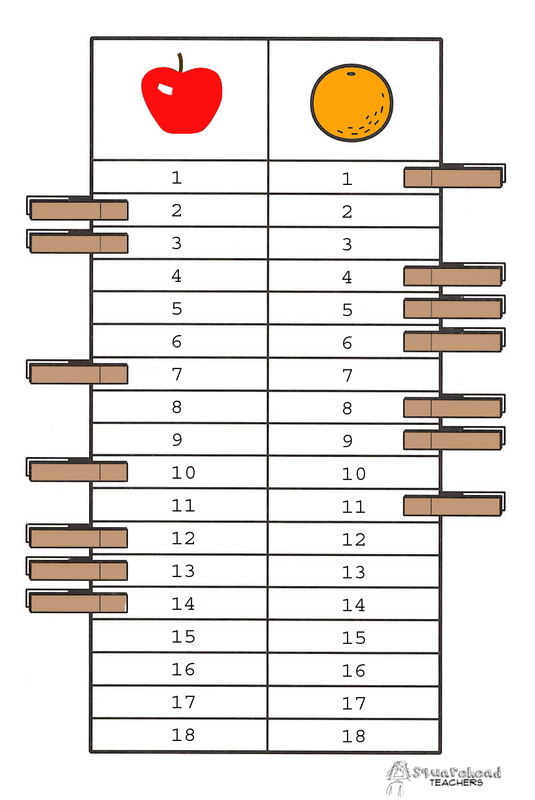 Then print off this clothes pin voting board PDF (best on card stock or heavy paper), cut it out and laminate it. Place this page somewhere in your room where kids can place their vote each day. Since the sheet is laminated, you can use a whiteboard marker to write each day’s options at the top. If choices are repeated often, some teachers may prefer to make a little card for each option and laminate it for re-use. You can attach these little cards to the voting board with a paper clip. Instruct students to fill the board with clothes pins from the TOP FIRST. This way, it will be very easy for you to use the numbers on the board to get the total for each option. This board can also be used for a variety of voting/graphing activities. This entry was posted in Beginning of the Year, Classroom & Decor, Math and tagged Children, classroom, Education, Elementary School, Kids, Teacher Resources, Teachers, Teaching by Squarehead Teachers. Bookmark the permalink.